There are loads of ways to earn money on the internet but a lot of these require a good level of technical expertise, or require you to embark on a time consuming project. But there are loads of more unusual ways to make money online. The four listed below are certainly strange but they're also either easy, fun or rewarding. Earning money doesn't have to be boring! Selling your hair online to make money might sound a bit drastic but there's a chance it could net you more than $3000 dollars. There are a fair few hair trading websites out there but the highest fee ever paid on thehairtraider.com is a staggering $3,600 for some luscious blonde locks! Most of us won't be offered quite so much but the average fee for a good sized chuck is still around $500 dollars. The buyers normally use the hair to make wigs, but they can also be turned into extensions or used on dolls. The internet really has connected the whole world together, which is great news for school and college students who need help with their studies. 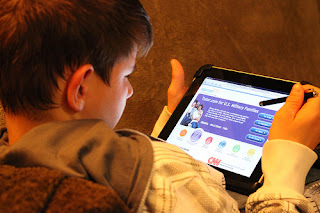 Teachers and parents can only spend so much time helping their children but websites like Tutor.com offer a permanent learning base. It's not only great for students as adults can make a lot of money by offering their expertise on websites like Tutor.com. You don't have to a professional tutor to get involved but it's imperative you offer some genuine help and support. There's no place for chancers or scammers on the site! Becoming an online tutor is a great way to earn money from the comfort of your home. And because the website offers a 24 hour help service the hours are completely flexible. Also if you're after a career in education it's hardly going to look bad on your CV. If you use the service properly and maximise its features you can earn a lot of money so it's definitely worth looking into. Getting paid to sit down at your computer and play games all day sounds too good to be true, but it really does happen. 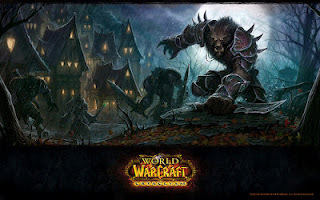 Take World of Warcraft, the world's popular online multiplayer, as an example. The game has more than 10 million subscribers and many of these users will offer you real world money in exchange for gold, the in game currency. All you have to do is find it. I should warn you that selling gold goes against the games terms and conditions and could lead to your account being cancelled. But if this doesn't bother you then sell away. You should be able to get about $15 for ten thousand pieces of gold. You'd think 10,000 pieces of gold would be worth more than this, but it's important to remember the gold isn't real. Essentially you're exchanging $15 for nothing. It might sound strange but visit fiverr.com and you'll find thousands of people selling all sorts of small goods and offering crazy services for $5. Fiverr was launched in 2010 and hosted more that 500,000 offers in its first year. Since then the website has gone from strength to strength and now allows users to bolt on extras to their services and charge up to $20. 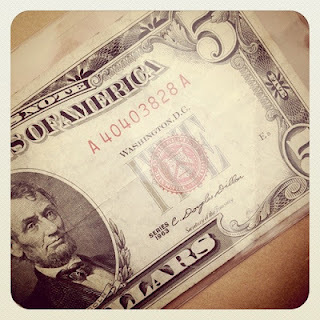 So what sort of stuff do you find on Fiver? Well the answer is pretty much anything. There are loads of users offering practical micro tasks to help a company maximize their social marketing, or an individual set up their blog. And if you're looking for a laugh you definitely won't be disappointed as there is an abundance of funny offers. So if you want some monsters photo shopped in a nice family photograph or some expert advice on dreadlocks then Fiver is the place to you. It really is the perfect place to make a little extra cash as you can post up anything you want. Obviously the offer needs to be taken up so it's a good idea to think of something an individual might want to buy! Divorce can be a struggle financially and knowing any ways to make a little money can be helpful. Paying off your debt can be a hassle, and learning ways to earn money online can help you pay it off more quickly.